Trinkstoff, completely unspectacular, besides, I can imagine that the one is clearly too bitter and others with the artificial sweetness have problems. Cotton candy, Fallobst and some lemon peel directly after pouring. After some time vanilla, some cereals and pears. Heat intensifies the pears. Sweet and bitter notes are equally juxtaposed right from the start, albeit one-dimensional. The sweet rather sugary and the bitter notes are just bitter without association, yet it is surprisingly tasty. The start is quite strong for the 46%, the mouthfeel pleasantly oily. The second sip brings out a slightly weird note, which looks very artificial, reminiscent of sweetener. The finish is rather short, the sweetness goes fast and the tart notes stay a moment longer. 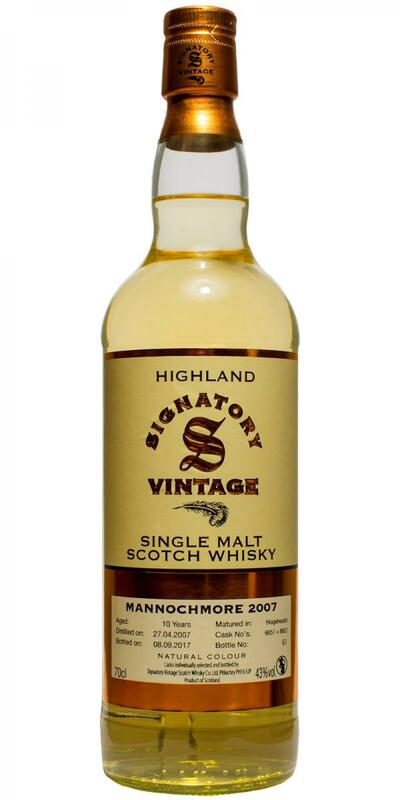 A simple whisky, that offers an easy entrance into malt spirits. Its ten years have subtracted any faints of roughness while at the same time letting the fruity and delicate distillate shine though. Distillate-driven and full on fruity apples, pineapple, and sweet grapes. Effervescent arrival of sweet caramel and lightly tannic mint chocolate. Associations of blue agave and cucumber juice. Medium-short. Artificial sweetener with a faintly bitter edge; whispers of toffee and herbal tea.